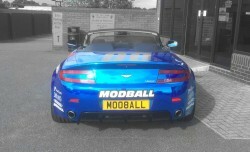 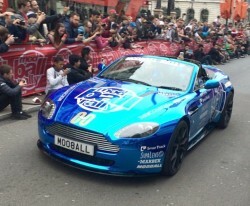 The Modball Rally is an international 7 day road trip adventure with a lot of partying and a little bit of racing. 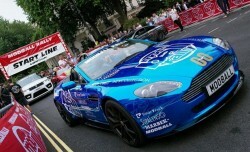 Over 180 great looking cars lined up at the start that took place in London on Saturday June 20th. 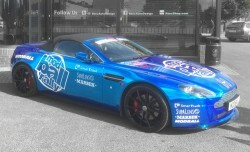 But the one that we are the most proud of is the Aston Martin V8 Vantage equipped with our Stage 1 Aero Package in gloss black, which includes the V2 rear diffuser, S1 front splitter and our new side splitter/skirts. 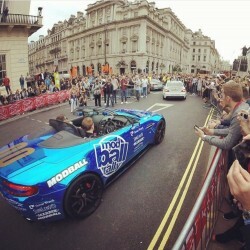 The “drive all day, party all night” caravan of cars passed through famous cities suuch as Monaco with Barcelona as final destination.